Albrim Ltd has become renowned for its excellence in the fabrication and construction of farm and industrial buildings. 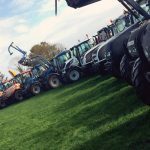 Irish Tractor & Agri learned all about the booming Co Laois business from its Managing Director, Roy Fairbrother. They’re extremely busy these days at Albrim Ltd and the plan is to keep business thriving at a company which is nearing closer and closer towards a decade in existence. 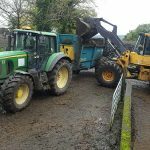 It certainly was the plan when husband and wife Roy and Muriel Fairbrother founded their business venture back in 2010 with the hope of growing it year on year from its base just outside the town of Portlaoise. Today, Albrim Ltd employs eight staff members and is also currently immersed in several projects all throughout the Leinster region. 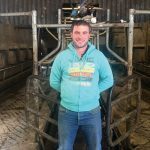 Roy was able to take some time from an increasingly busy schedule to fill Irish Tractor & Agri in on his business and why he feels their customers are continuing to choose them first ahead of the competition. “We’re based in Coolrain, Portlaoise, Co Laois and right now we have eight staff working with us,” said Roy. “We’re up and running eight years now but before that I had been in a partnership with another firm for 16 years. I left that company and started out on my own, and business just took off, thankfully. My wife and I are directors here now and we’re solely in charge of the company together. 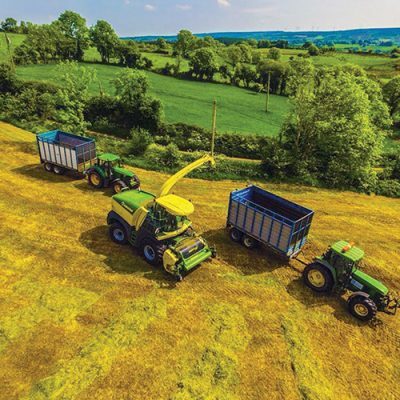 The path for the Fairbrothers has been clear since taking the decision to run their own operation, building the business year on year, and for them it’s always been about quality over quantity. 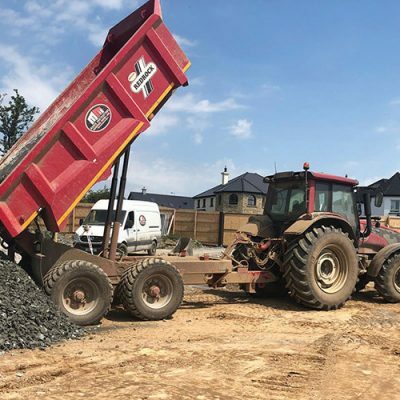 While the company’s services are very much on offer nationwide, the majority of projects take place in the east of the country over the past eight years. 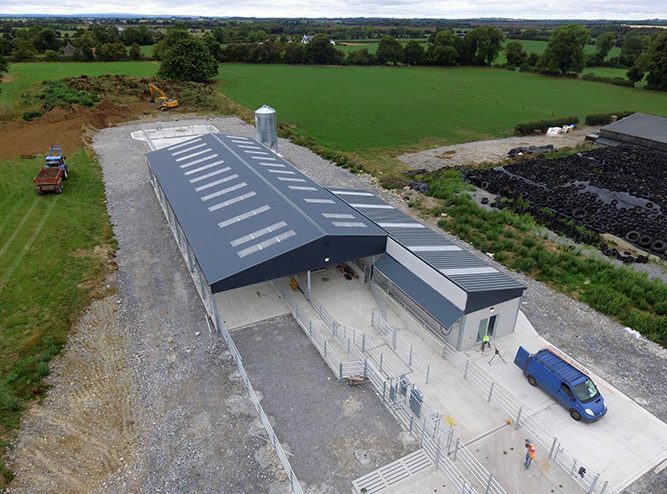 “Right now we are involved in projects in Carlow Town, a milking parlour in Gurteen College, we’re also working on projects with Allwood Carpentry & Joinery outside Portlaoise, Goff’s in Kildare and in Dublin with Enrich Environmental Ltd who are based Meath. Make no mistake, Roy would have certainly settled for these busy times when he first started out in the business. Back in 2010, the country was in midst of a stinging economic recession and the construction industry was undoubtedly hit hardest of the lot. 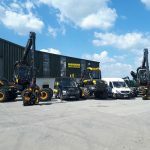 It seemed a tricky time to undertake starting up your own business venture, but, as the results show, the Fairbrothers made it work and Roy confirms that it’s now at the juncture where they’re looking at adding to their staff numbers again in order to cope with the demand from clients. 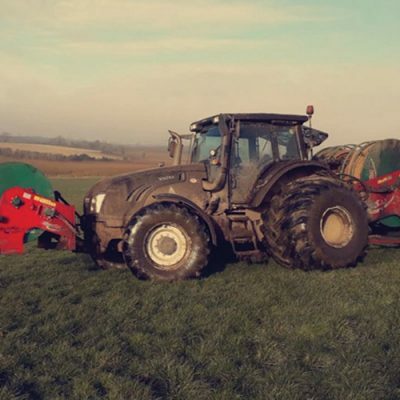 The good word over Albrim Ltd’s work didn’t take long to spread and that helped the list of clientele to grow year on year. More staff members were brought in and more machinery was invested in in order to meet clients’ demand and expectations. So what has been the secret? How have those recommendations from clients continued to flow down through the years? According to Roy, it’s down to a couple of different merits which the company guarantees with each project it undertakes. “It’s because of the quality of work that we do and the fact that we’re able to deliver on time and give them good value for money,” he said. The company is thriving in every sense of the word and regular clients trust them to deliver on every project they hire them for. Right now, a modest expansion is something that is very much on Roy’s mind to ensure that the company continues to move in the right direction.